The India-made Suzuki Burgman Street will be on display at the upcoming GIIAS 2018 (Gaikindo Indonesia International Auto Show). The company, on 19 July, launched the Suzuki Burgman Street in India at a price tag of INR 68,000 (ex-showroom Delhi). 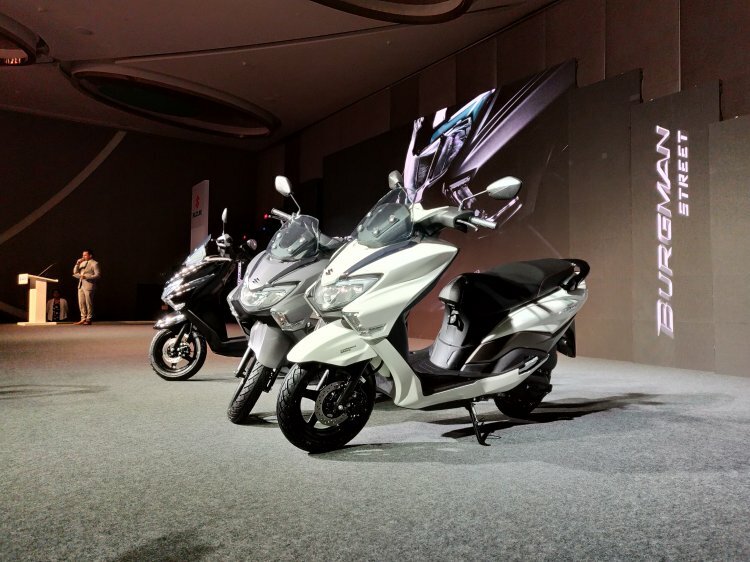 The Suzuki Burgman Street comes in three paint schemes - Glass Sparkle Black, Metallic Matte Gray and Pearl Mirage White. The GIIAS 2018 is scheduled from 02-12 August 2018 and will witness the unveilings of several two-wheelers and four-wheelers from various global manufacturers. 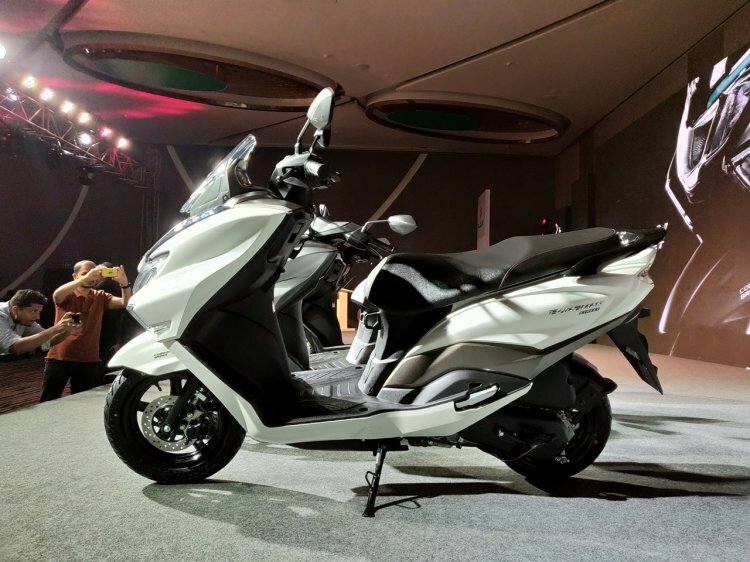 That said, the Suzuki Burgman Street is offered in three colour options - Pearl Mirage White, Glass Sparkle Black, and Metallic Matt Fibroin Gray. The maxi-scooter shares its design cues with the flagship Suzuki Burgman 650, which debuted in India at the Auto Expo 2018. Staying true to the maxi-scooter design philosophy, the Suzuki Burgman Street features a flexible foot-forward position and aerodynamic body panels. The scooter features a high-set windscreen, and wide handlebars with broader seat while the front apron gets an integrated a USB charger socket and storage pockets. The Burgman Street comes with LED lighting all around, and a multi-function key slot with central seat lock. The Suzuki Burgman Street receives an under-seat storage capacity of 21.5 litres along with aluminium pillion footrests. The scooter gets a sporty muffler cover and a chrome garnish on the front apron. The Burgman Street tips the scales with a kerb weight of 108 kg, while it has a fuel tank capacity of 5.6 litres. The scooter receives a ground clearance of 160 mm, while the seat height stands at 780 mm. The Suzuki Burgman Street employs a 124.3 cc, 2-valve, single cylinder, SOHC motor that is tuned to generate a maximum power of 8.4 bhp at 6,500 rpm along with a peak torque of 10.2 Nm at 5,000 rpm, while the engine pairs to a CVT. While the Burgman Street doesn’t have a direct rival, it competes with the Honda Grazia, TVS Ntorq 125, Aprilia SR 125, and the Vespa SXL/VXL 125 in the in the 125 cc scooter segment. The Suzuki Burgman Street features a flexible foot-forward position and maxi-scooter design elements. The Suzuki Burgman Street drops anchors with the help of a disc brake at the front along with a drum brake setup at the rear, while CBS (combined braking system) is standard. Suspension hardware comprises of telescopic front forks and a hydraulic rear mono-shock, while the maxi-scooter rides on 12-inch front and 10-inch rear alloy wheels that run on 90-section tubeless tires.